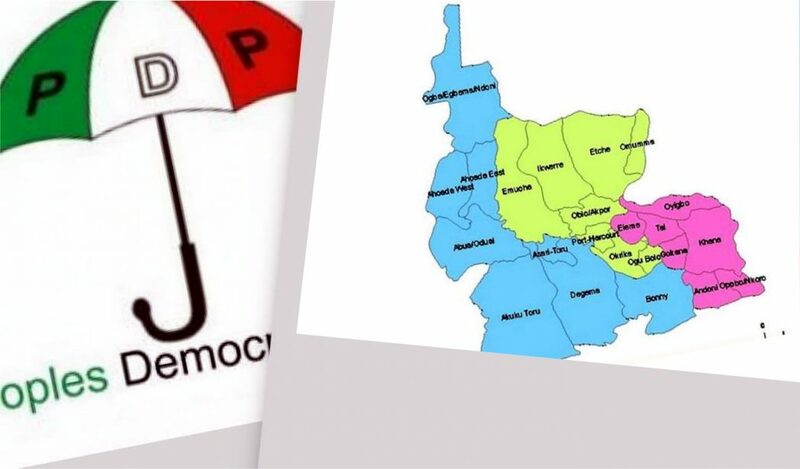 The Peoples Democratic Party (PDP) has swept the four pending seats in the House of Assembly rerun elections held, last Saturday, in the four local government areas of Rivers State. The rerun polls covered Gokana, Abua/Odual, Ahoada West, and Opobo/Nkoro state constituencies. The Independent National Electoral Commission (INEC) yesterday, declared Hon. Okpokiri Nwanaka Okpokiri of the PDP winner of the supplementary election for Ahoada West State Constituency seat, after polling 32, 574 to defeat his closest rival, Harry Osomuya of the Democratic Peoples’ Party (DPP), who polled 3, 236. The INEC also declared Sokolo Solomon winner of the Abua/Odual State Constituency with 55, 944 votes. The commission further declared Dumle Maol of Gokana State Constituency winner after scoring 55,319 votes. The House of Assembly seat for Opobo/Nkoro State Constituency was won by Adonye Diri after he had scored 7,713. 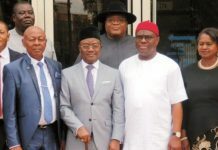 The Independent National Electoral Commission (INEC) had cancelled the March 9, 2019 Assembly elections in the areas following electoral violence. 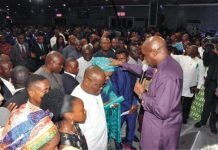 The All Progressives Congress (APC) did not field any candidate in the election, having been lawfully barred by courts of competent jurisdiction from doing so in all elections in the 2019 General Election. 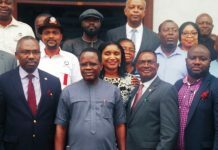 Reacting to the conduct of the exercise, Secretary to Rivers State Government, Chief Kenneth Kobani, commended the Independent National Electoral Commission (INEC) and members of his constituency for a peaceful supplementary election in Gokana. Speaking at his Ward 1, Unit 8 in Gokana, shortly after casting his vote, Kobani said that the people of the area turned out en-mass to vote for the candidate of their choice without intimidation. “The weather has been clement, at about 7:00 am this morning, voters started turning in for accreditation and voting”. Kobani said that his ward, located in Bodo City, as the largest community in Ogoni, was made up of 13 units. “I’m grateful, the security so far is commendable, the police deployment for this election is good, if we had this level of police presence, we wouldn’t have had any problems in the last election”, he said. 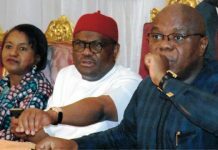 According to him, “one of the major reasons why we are enjoying such peace which has also translated to a peaceful election is because the Governor, Chief Nyesom Wike, in his magnanimity, has extended the Olive branch to the main opposition, with a call for peace. “Indeed, there is no need for fighting, let us come together and build a united Rivers State,” he added. Earlier, Electoral Officers for Abua/Odual and Opobo/Nkoro Local Government Areas, Mr Davis Iluebbey and Mr Samuel Udezi, respectively, said that accreditation and voting for the state House of Assembly election went on peacefully, last Saturday. Iluebbey told newsmen that although there were little delays because of the heavy rain in Abu/Odual, electoral materials had been deployed to all the polling units. “In Abua/Odual, we have enough electoral materials, and the presiding and assistant presiding officers (POs and APOs) left early with their electoral materials to the polling units. 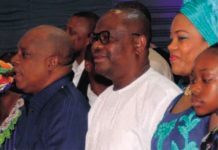 According to Iluebbey, although 14 political parties are on the ballot for the Abua/Odual State Constituency Assembly election, the Peoples Democratic Party (PDP) and African Democratic Congress (ADC) were the two leading political parties in the contest. “So far, the election is going on peacefully in all the 181 polling units of the 13 Wards in the LGA. The total number of registered voters in the LGA is 88, 561,” he said. 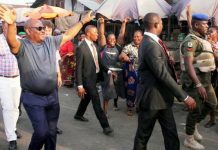 In Opobo/Nkoro LGA, Samuel Udezi confirmed that only 20 polling units in five Wards with 7,344 registered voters were affected in the state constituency supplementary election. “We have no issue for now, we have deployed all the materials to the POs, and we are even going round to supervise them. “I am currently in Ward 7, Unit 18, and the accreditation and voting are going on peacefully for now,” he said.